This is my second installment of 'Love It or Toss It', which is an attempt to find unused, unloved, or forgotten products in my possession and decide whether they are gems that I need to use more often, or if they need to be banished from my collection once and for all. This was originally inspired by the wonderful bloggers Bronzer Bunny (her last Love It or Toss It post is here) and Gummy (here). I find this method is an incredibly effective and undaunting way to try to trim down my stash and hone in on the products that I absolutely love, versus those that are just ok.
For this second installment, I choose four products: Guerlain Madame Rougit blush (my original review of this is here), Lipstick Queen Hello Sailor (reviewed here), Revlon Lip Butter in Pink Lemonade, and a Wet n' Wild eyeshadow in Nutty. 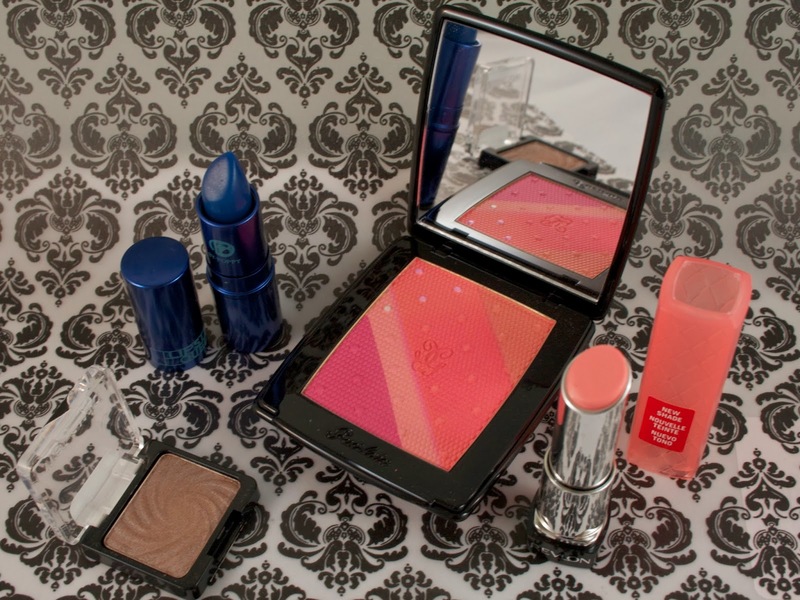 Guerlain Madame Rougit: this blush is a stunner in the pan that set me back a steep $67 when it was released last fall. 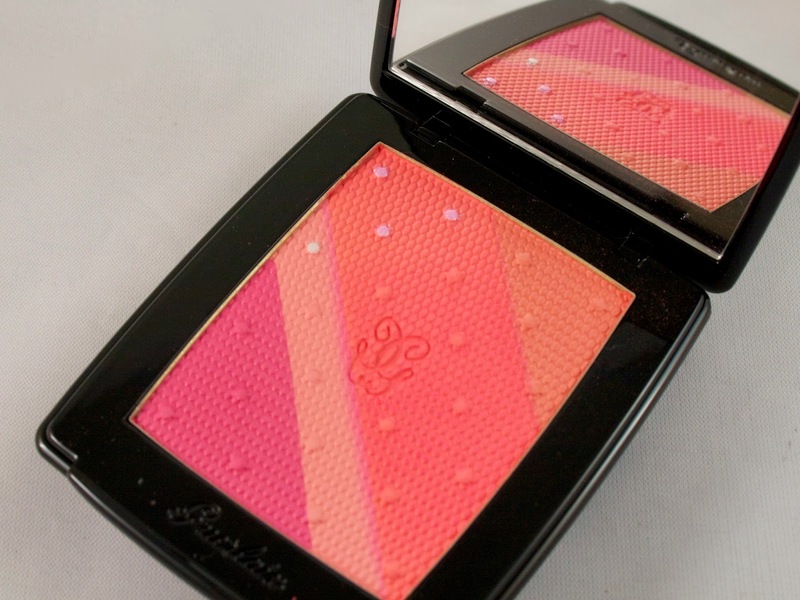 I love the scent of Guerlain products and there is no denying that this is a beautiful blush to have sitting in your drawer. But I was never impressed with its application on the cheeks. It was simply mediocre and the color isn't particularly unique. I am trying to focus on keeping only products I love, not just products that are pretty to look at or that I want to own for the sake of it. 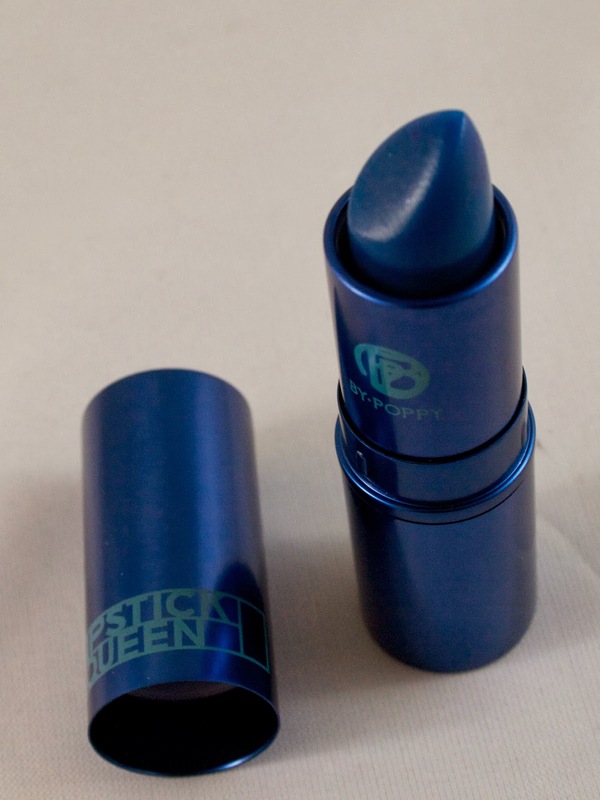 Lipstick Queen Hello Sailor: this blue lipstick is absolutely terrifying in the bullet, but it applies exceptionally sheer. It is meant to impart a healthy looking tint to the lips and make teeth appear whiter. I'll admit that I bought this almost purely for the gimmick factor--and because I love Poppy King and her Lipstick King line. Unfortunately, I rarely--if ever--reach for Hello Sailor. My lips are already so, so cool toned that I just don't see that much of a difference when I wear this, other than the fact that it adds a sheen to my lips. That's simply not enough to warrant hanging on to this lipstick. 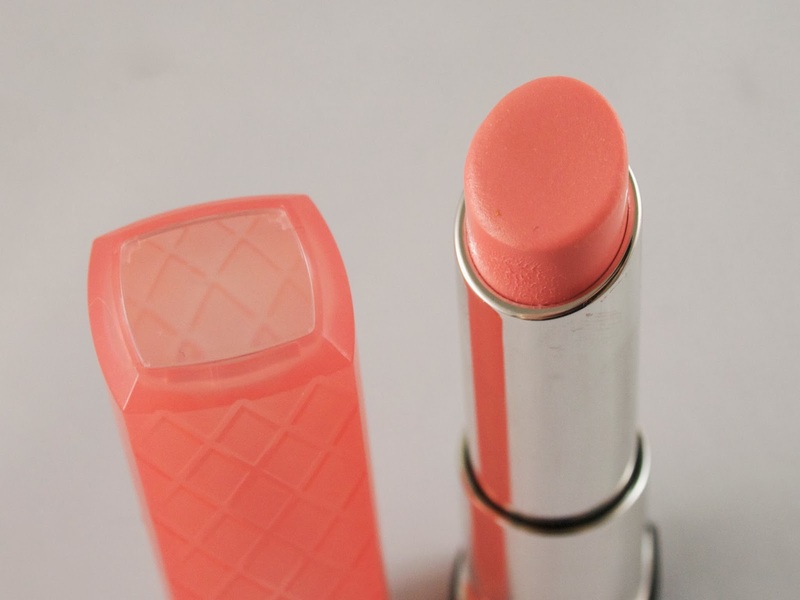 Revlon Lip Butter in Pink Lemonade: Pink Lemonade was released as one of four new additions to the Revlon Lip Butter line sometime in early 2013 (if memory serves correctly). I like the handful of Lip Butters that I own, but the color of Pink Lemonade just doesn't suit my lips. It is too light and looks a bit garish on me. I think I've worn it twice and both times I hated the way it looked on me. 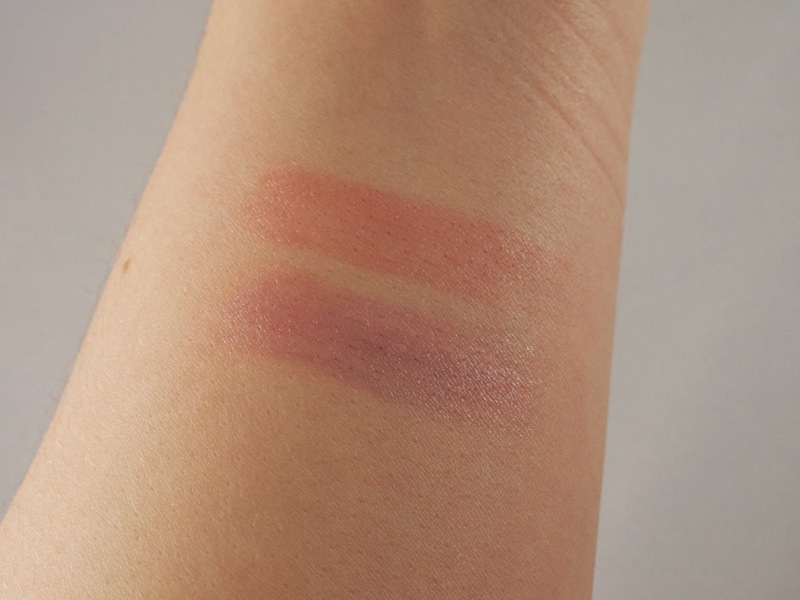 Sad, but I'll stick to other shades I know I love if I want to slap on a Lip Butter. 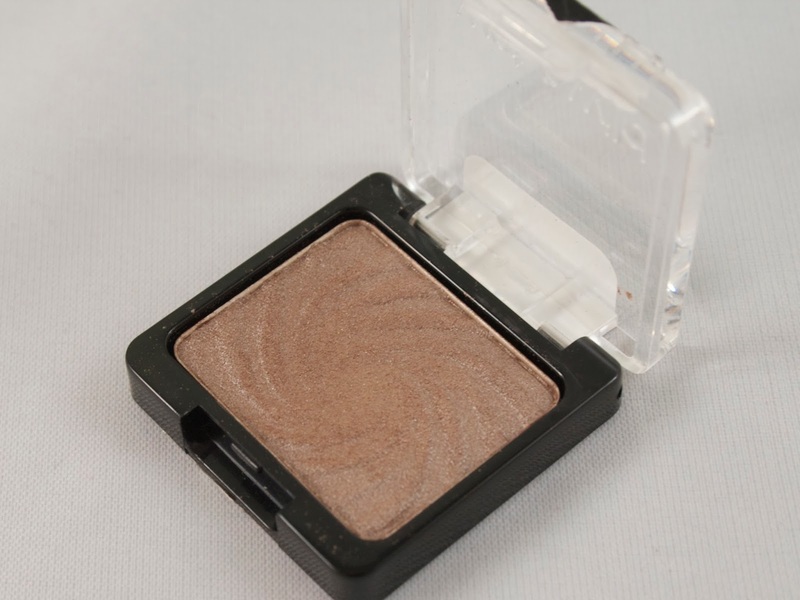 Wet n' Wild Single Eyeshadow in Nutty: in the interest of full disclosure, I feel that I should mention that I bought Nutty over a year ago and still have never even opened the package (no, not even now). I fully intended to force myself to at least try it during this Love It or Toss It challenge, but I've recently picked up a number of beautiful eyeshadow palettes that have kept me preoccupied. I'm nonetheless going to keep Nutty. It is a tiny single shadow and only costs $.99, so why not just hang on to it and wait for the perfect time to use it? Based on the internet's feelings towards this shadow, I'm betting I will love it if & when I eventually get around to trying it out! And there you have it. 3 items tossed (aka placed in a box to be put in an upcoming blogsale or given to friends/family) and 1 kept. I really love this method of weeding through my constantly expanding collection of makeup and I resolve to do this more often! Please join us and share what you've been loving and tossing!